The exciting summer holiday is coming. Have you started to travel or have a summer camp? 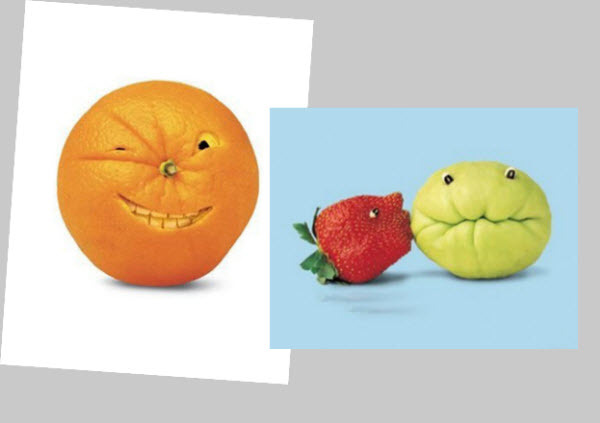 I’m very sure this summer will leave you many happy memories with families, friends or classmates. Everybody likes to take photos during the travelling and turns these photos into a holiday photo gallery then share it on Facebook or YouTube. Me too! 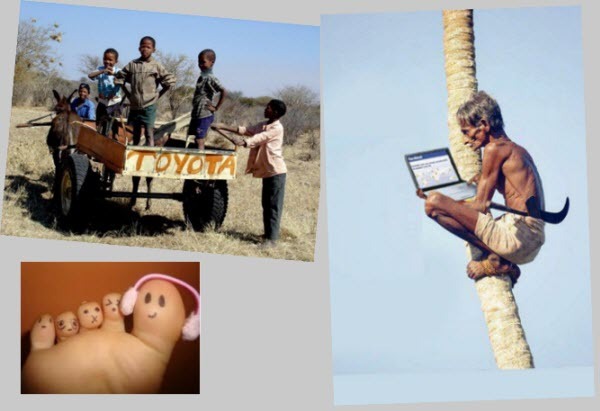 Most people like to take along their iPad or iPhone when they travel since iPad and iPhone are light and small to carry. They like to upload the news, photos, feeling, and all of the good things they saw to the network at any time. 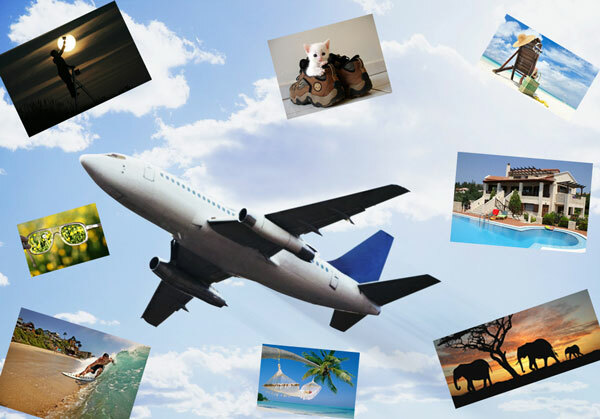 Today I’d like to show you how to turn these travelling photos gallery that filled with summer fun and happiness into a wonderful slideshow movie then upload to YouTube and Facebook on iPad or iPhone. 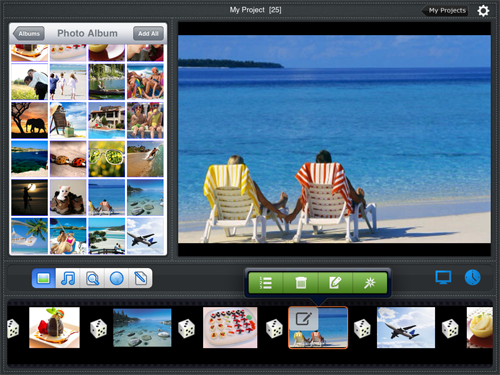 We’ll be using a very nice and professional photo slideshow app to make a stunning summer holiday slideshow movie. Please download Photo Slideshow Director HD for iPad or Photo Slideshow Director for iPhone on iTubes app store. You can use the USB cable to transfer your camera photos to iPad or iPhone. Tap the “Photo” button on the left side of the view. 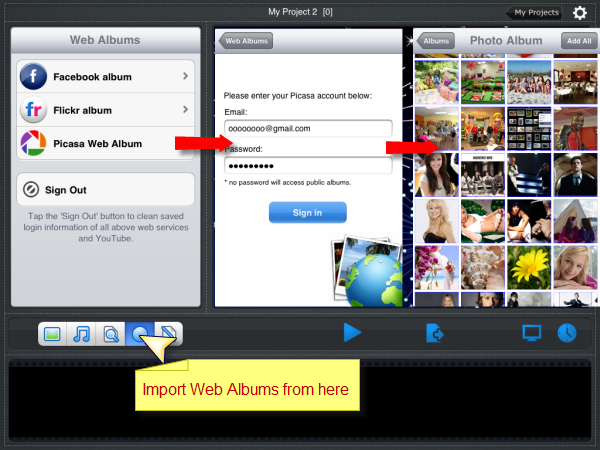 It will pop photos album options up to allow you select photos from iPad by touching every photo you like with finger. It’s quick and easy. Now you can start to edit these photos. 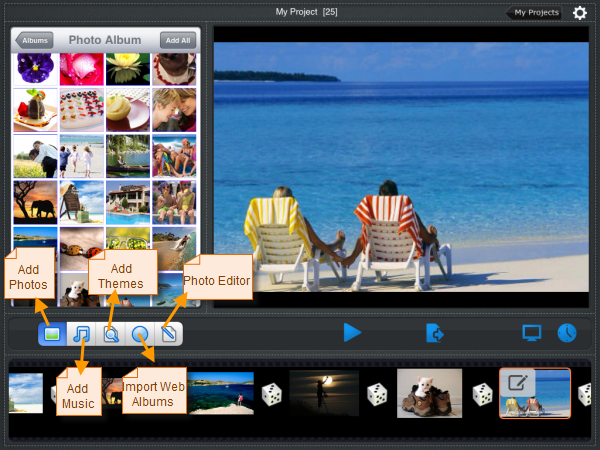 The greatest feature of Photo Slideshow Director HD is that it has many good functions about editing photos. 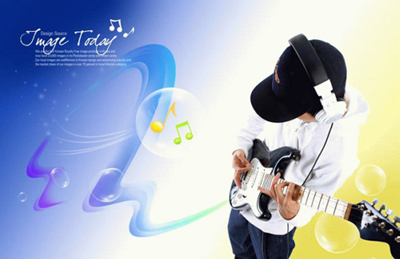 You can customize photos in different way. Please tap one of photos from the photo list which is at the bottom of the screen. 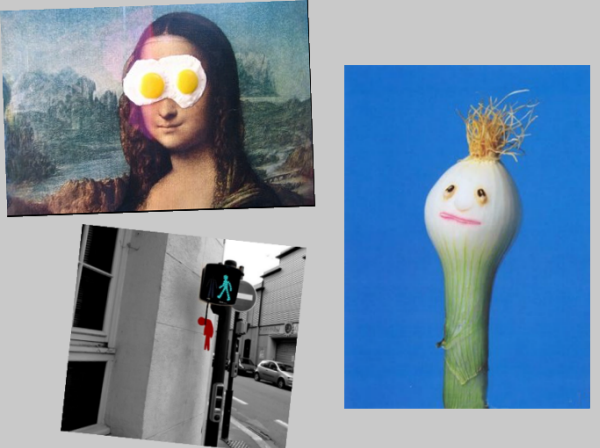 A Pencil tab on the left top of the small photo will appear. 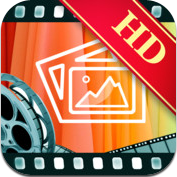 Tap it and you will be noticed some options including arranging photos order, deleting photos, adding Pan & Zoom effect and photo editor. Tap the first option “Arrange”, there you can drag any photos to anywhere to arrange order of these photos or sort photos by name or date, too. You can delete photos by tapping the second options “Delete”. 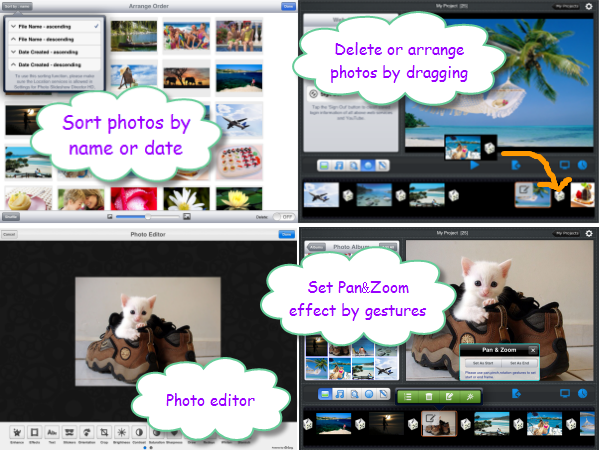 If you touch the third option, please use pan, pinch, rotation, gestures to set start or end frame to add Pan & Zoom effect into the slideshow. The last option is about photo editor, tap it or touch the current display photos on the main screen then you will see a series of setting functions including photo text, effect, orientation, brightness… you can crop, rotate and flip the photo in slideshow, adjust the brightness, saturation and contrast, apply beautiful stylistic effects to photos , remove red eyes, add text or drawing on photos. 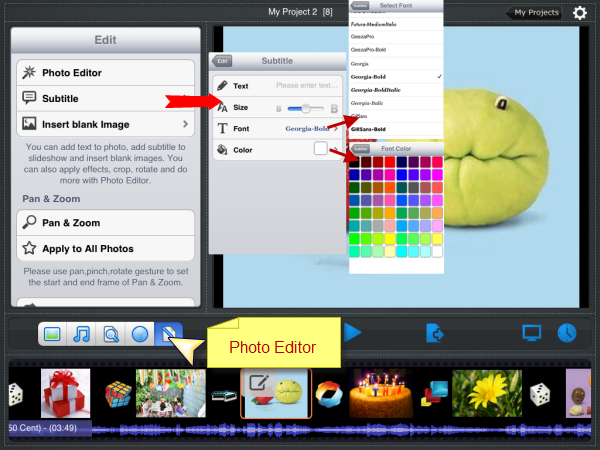 There is also an easy and direct way to edit photos. Touch your finger on one of photos in photo list for one second. Then drag it above and this photo will be removed. 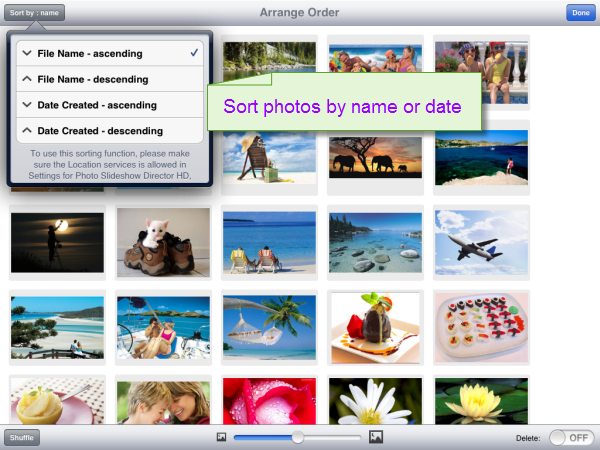 Drag toward left or right you can also arrange photos order. 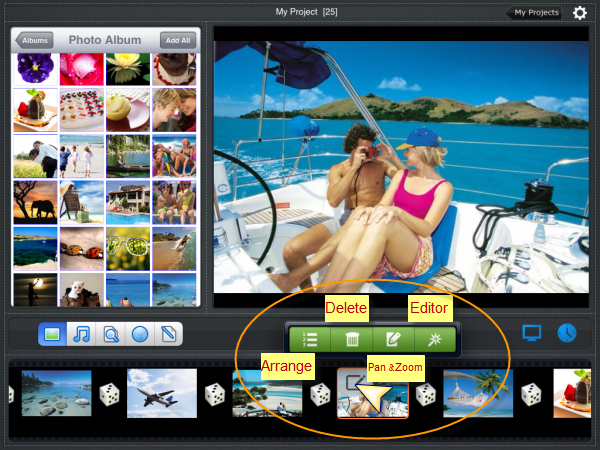 Tap the “Photo editor” option which on the list of adding Photos, Music, Web Album options, you can add subtitle, text, description to photos in the text screen, too. Tap the “Theme” icon”, there are many beautiful stylistic themes. 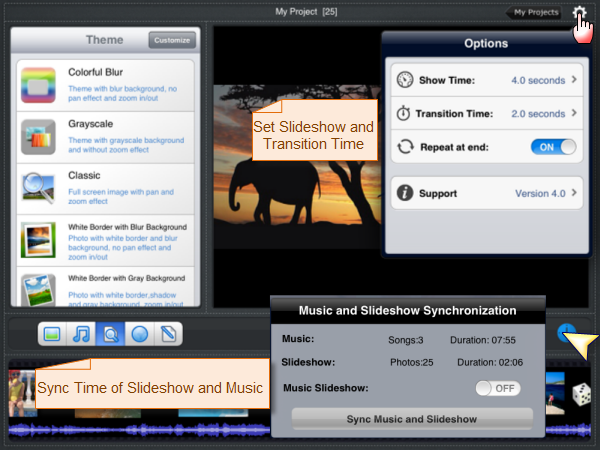 Select one theme you’d like and it will make your slideshow amazing. On the other hand please tap the “Transition” option which is between two photos then you can add an animated transition effects to the slideshow. Now please tap the “Setting” icon on the right top of the main screen. 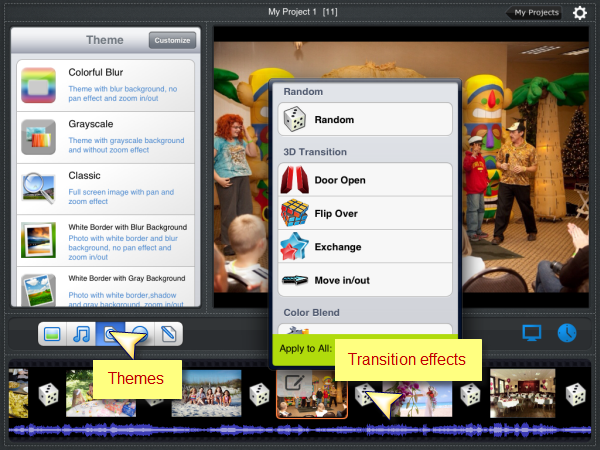 There you can set slideshow time and transition time from the drop down option. 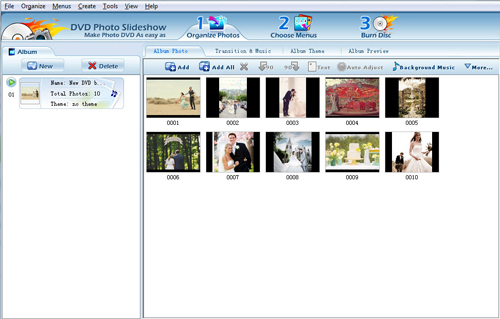 If you’d like slideshow cycle play, please touch and move the switch towards right until it becomes On. 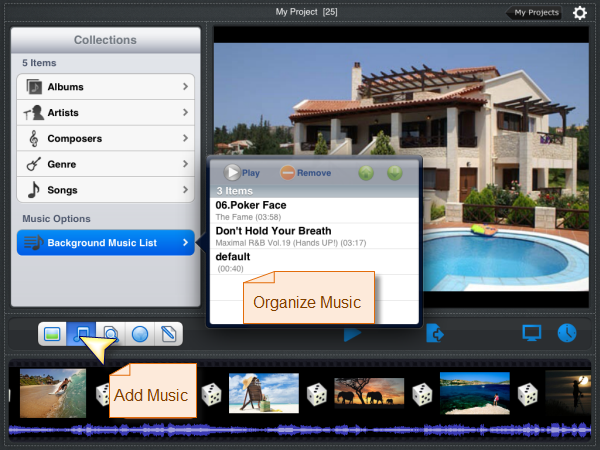 Tapping the “Time” icon can make music and slideshow synchronization, too. 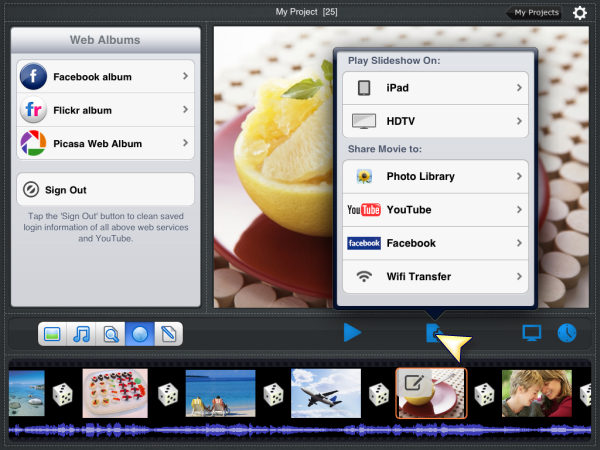 Touch and move the switch On, if the slideshow photos duration is shorter than music, the system will suggest you adding more photos or change photo duration. Step 7. 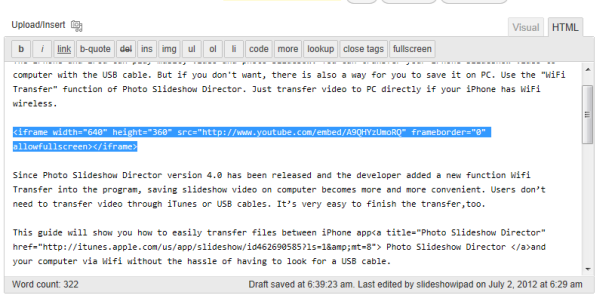 Upload slideshow movie to Facebook, YouTube directly. Tap the “Export” icon. 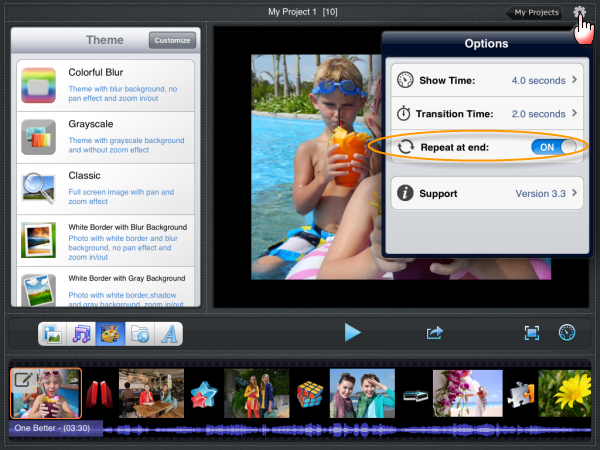 There you will see five options about saving the slideshow movie. 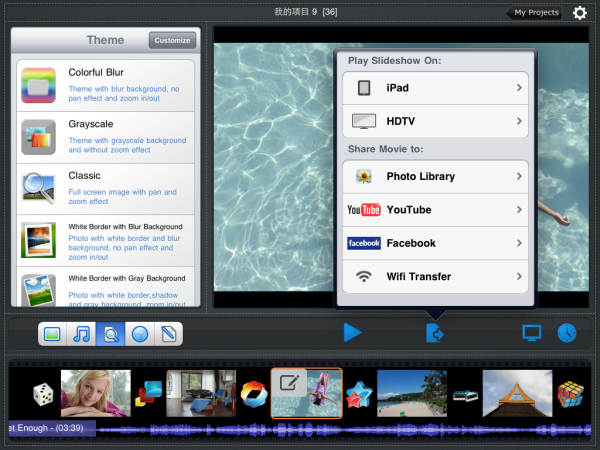 Play slideshow on HDTV, save on iPad, upload to YouTube, Facebook or transfer slideshow movie to desktop PC. Since you are traveling so it’s inconvenience for you to play the slideshow HDTV, you can upload it to YouTube , Facebook after you came back the hotel. 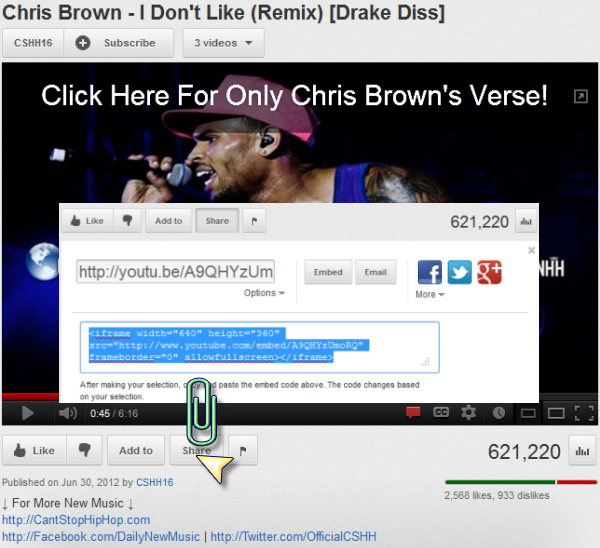 Choose the “YouTube” or “Facebook” option then it will pop up a new window to allow in enter your ID and password. 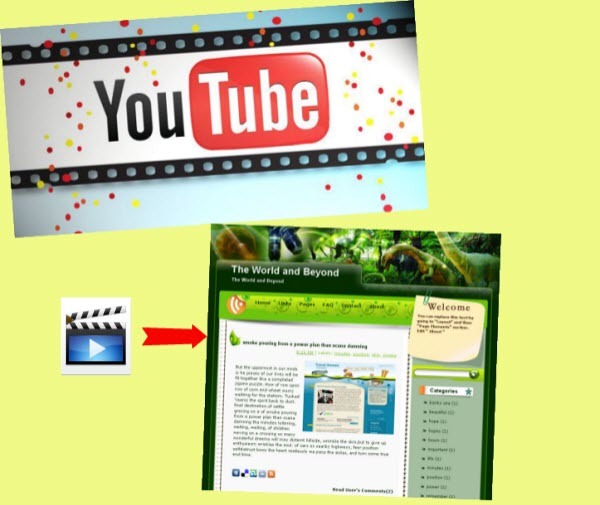 Follow the induction then tap the “Publish Now” button on the bottom of the new screen so the movie will be uploaded to YouTube. 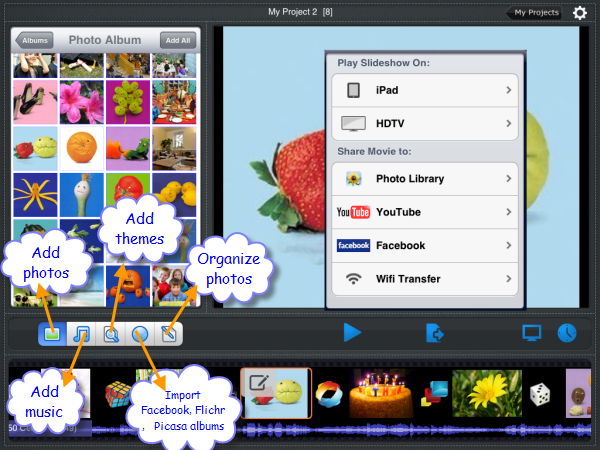 Is it a great idea and very easy to make such a funny slideshow movie with your summer holiday photos on iPad during the travelling? You can do it, too.